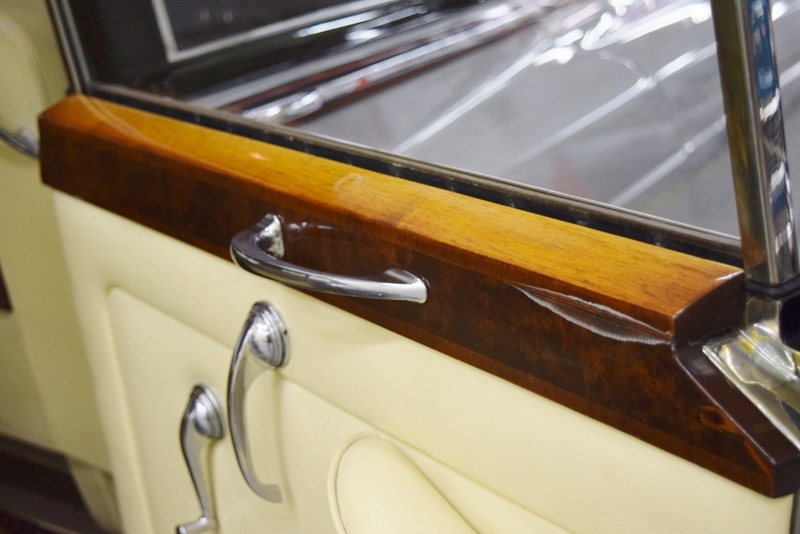 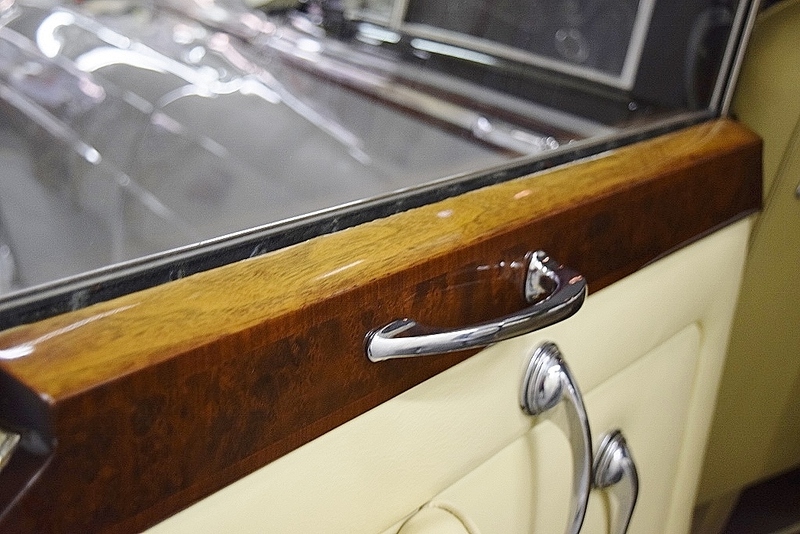 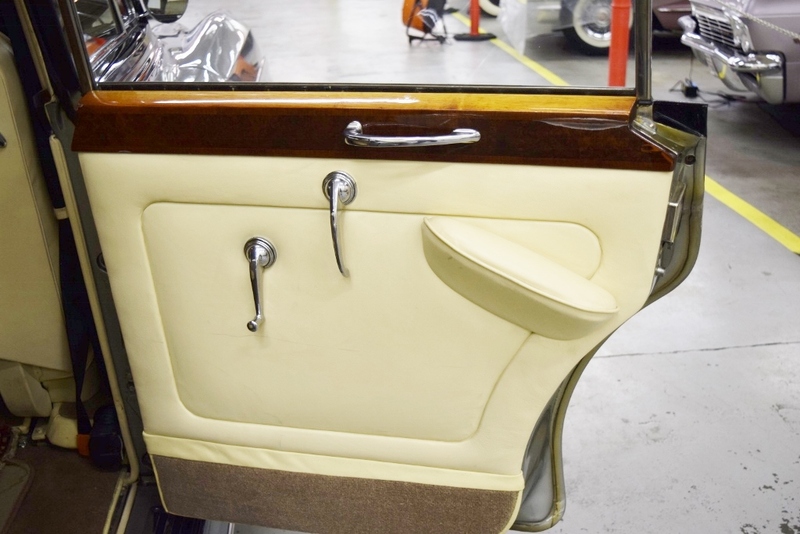 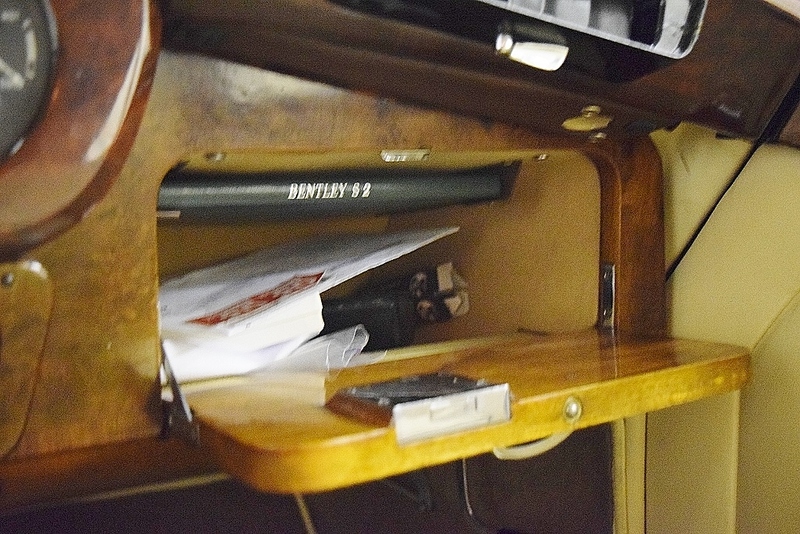 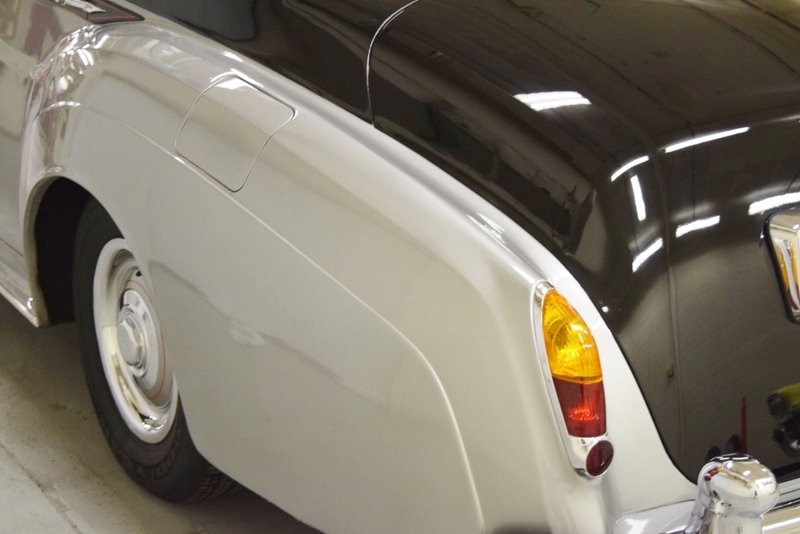 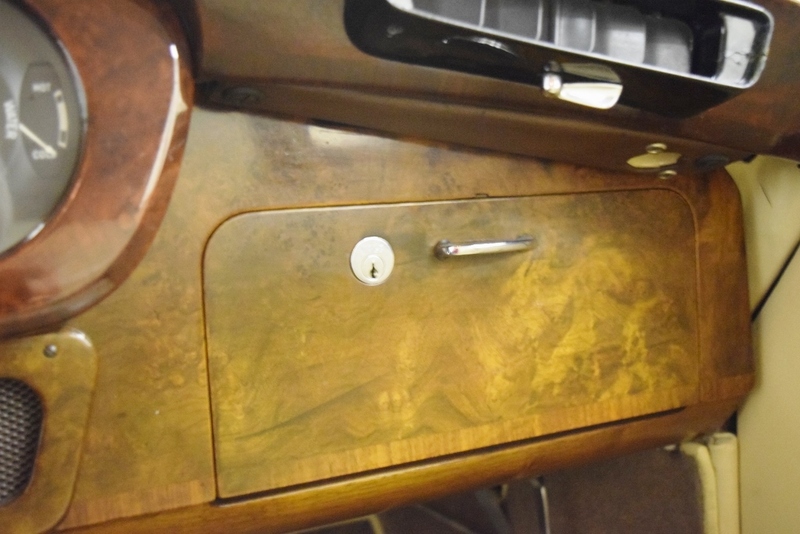 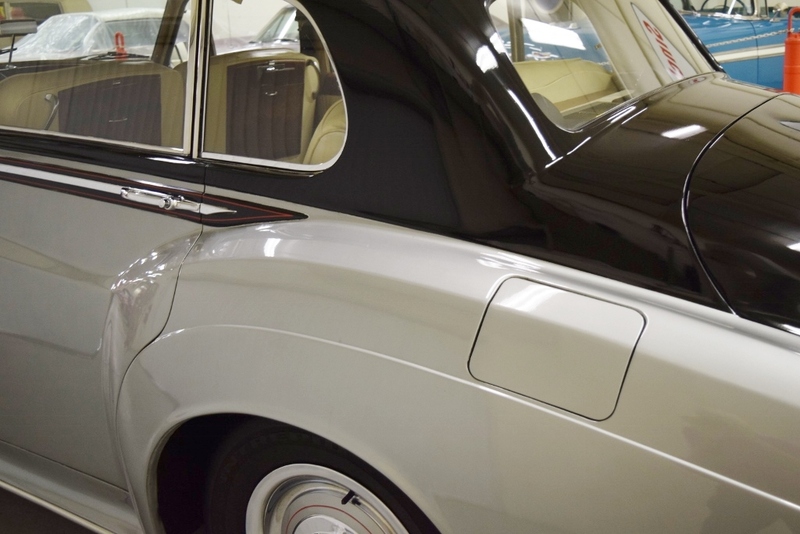 This Long Wheel Base Bentley S2–#32 of 57 built—is unique in that it was factory-ordered without a divider between the front and rear compartments. 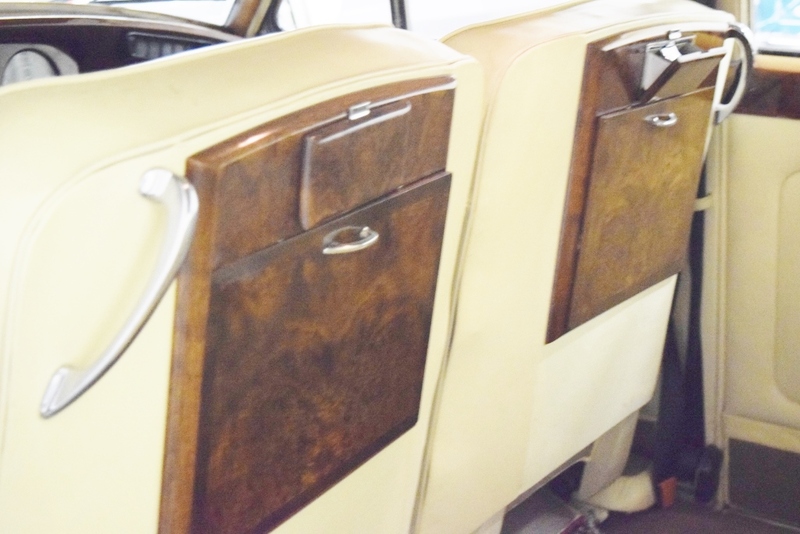 In the current era where the owner of these exceptional cars no longer sits in the back seat while a chauffeur drives, this open format interior facilitates driver comfort, the free flow of air conditioning throughout the entire car and easy conversation with your guests. 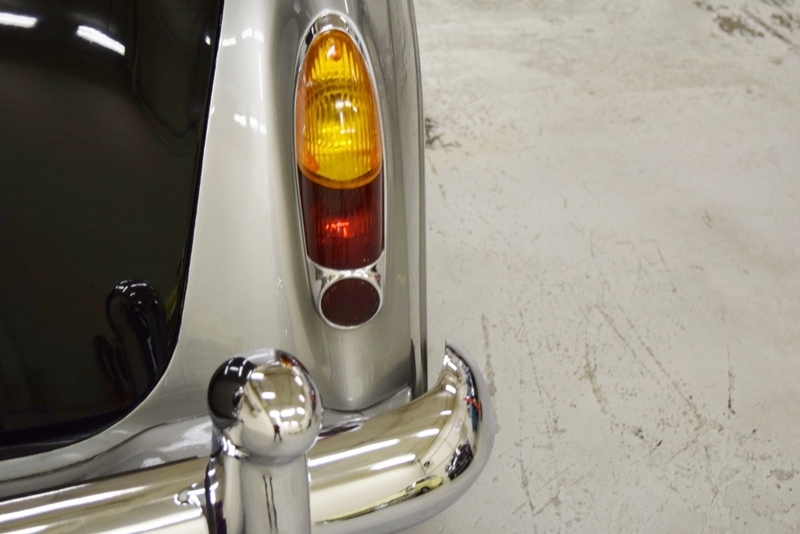 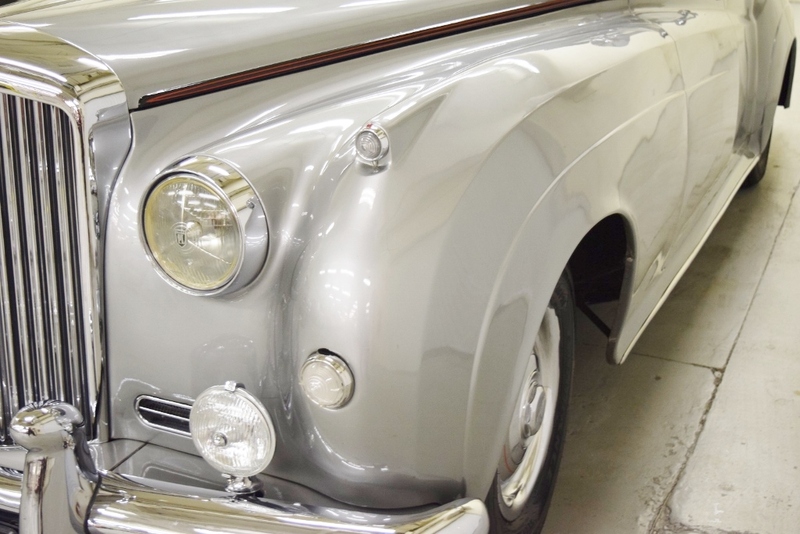 This Bentley was the subject of a full frame-up restoration and it looks almost as elegant as it did when it first left the factory in Crewe. 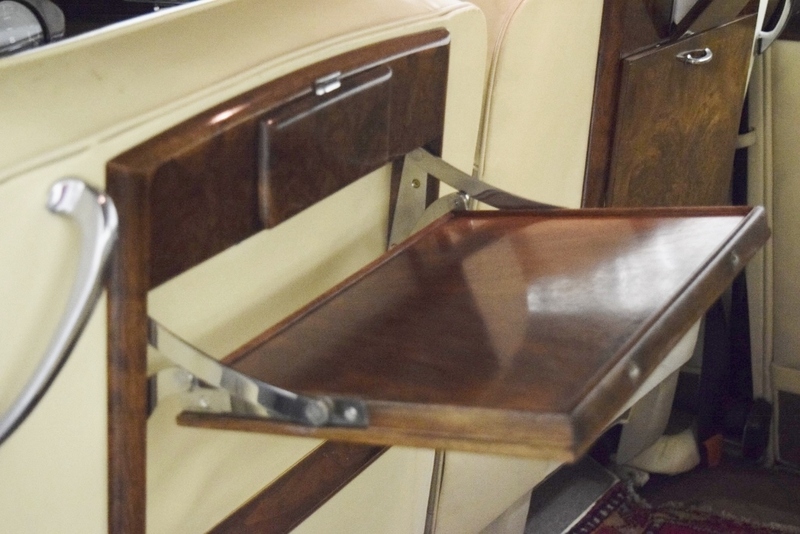 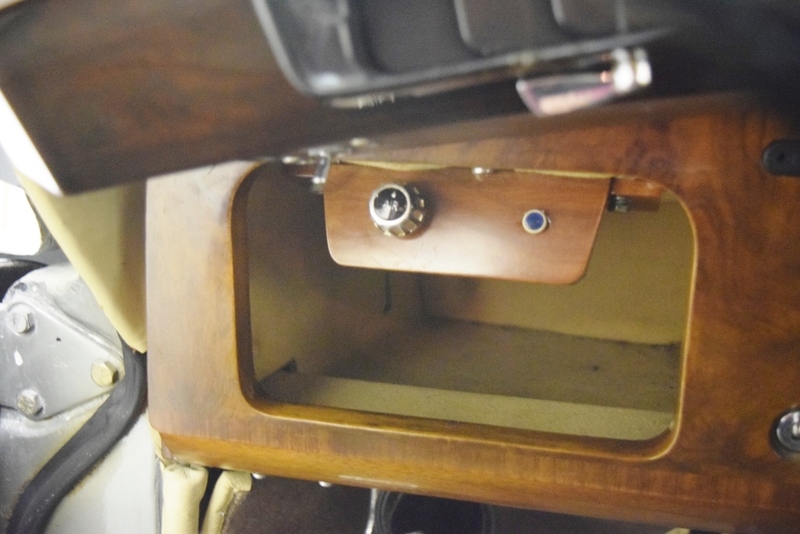 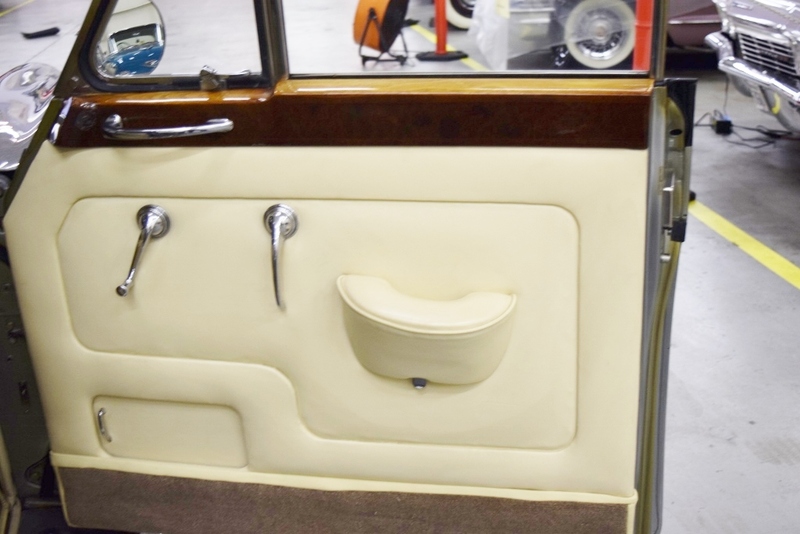 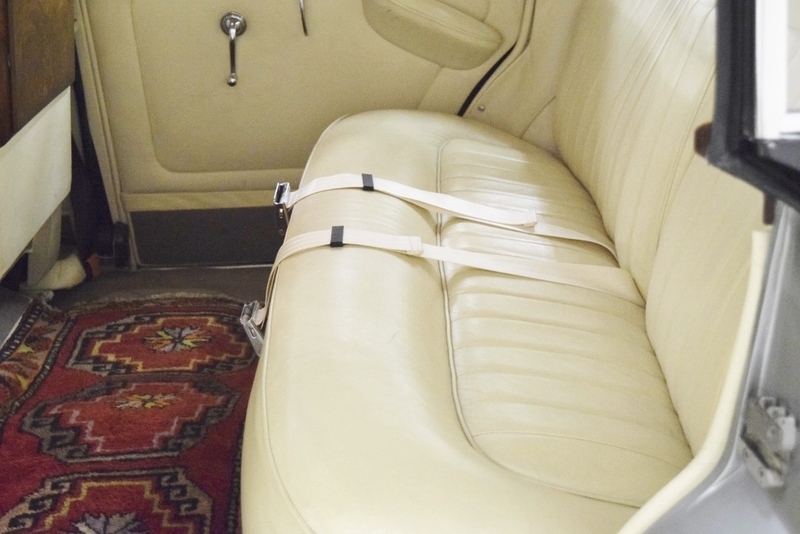 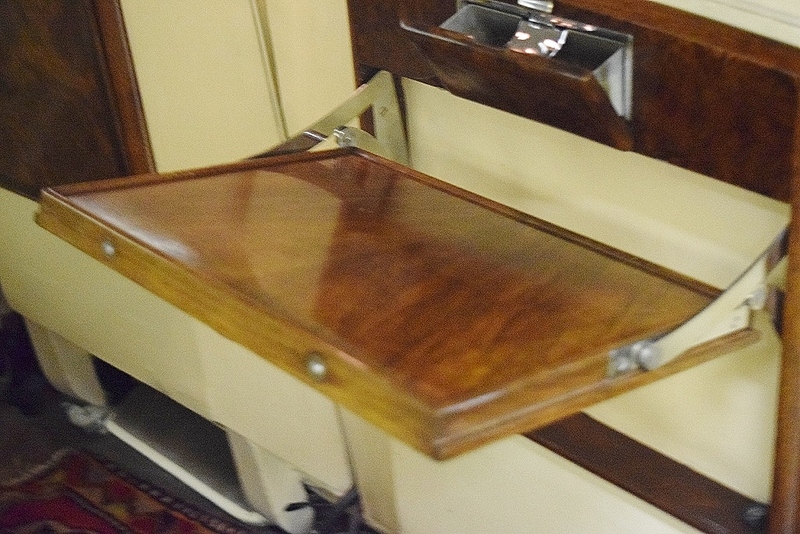 LLBB 32 was a special-order vehicle with extensions to allow the front seat to move further back to accommodate a tall owner and the election not to install a divider between the front and rear seats. 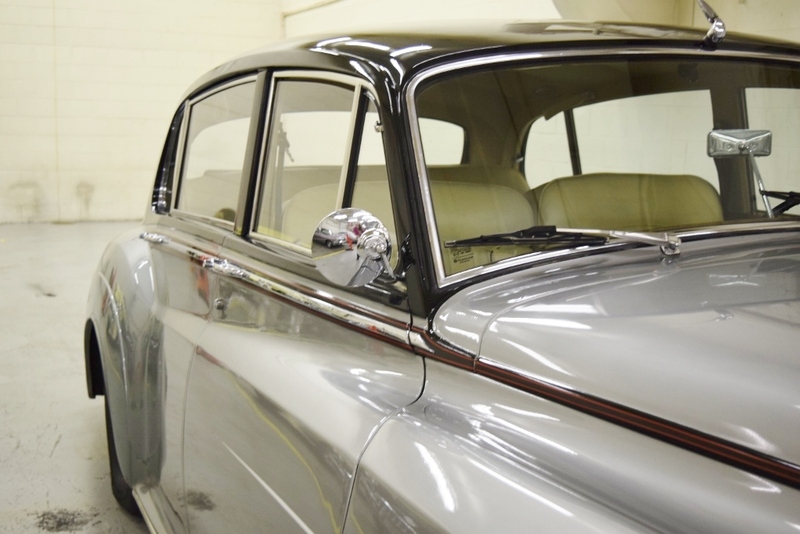 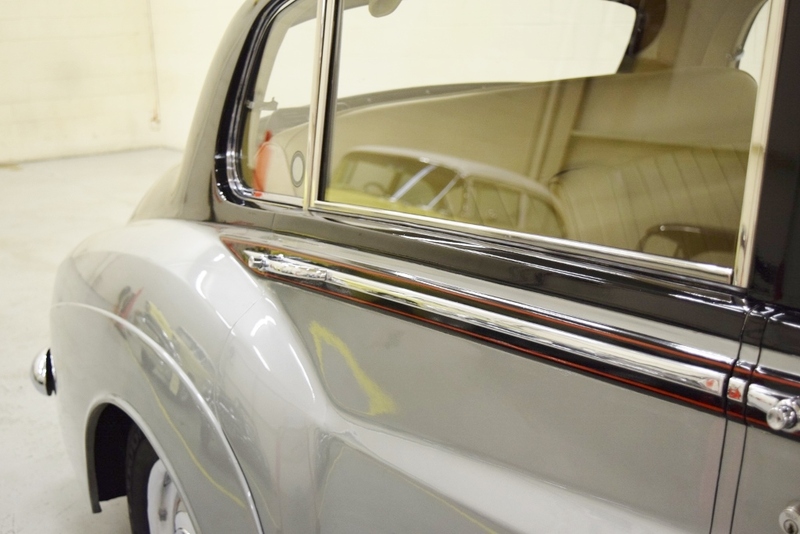 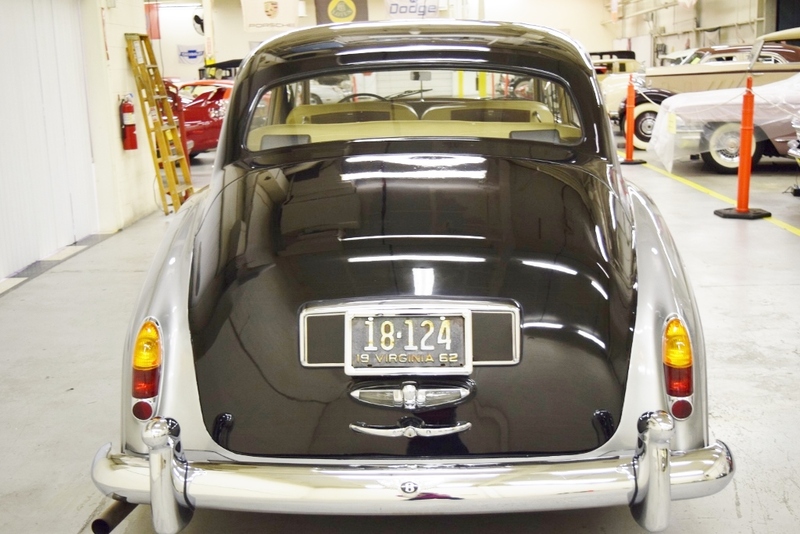 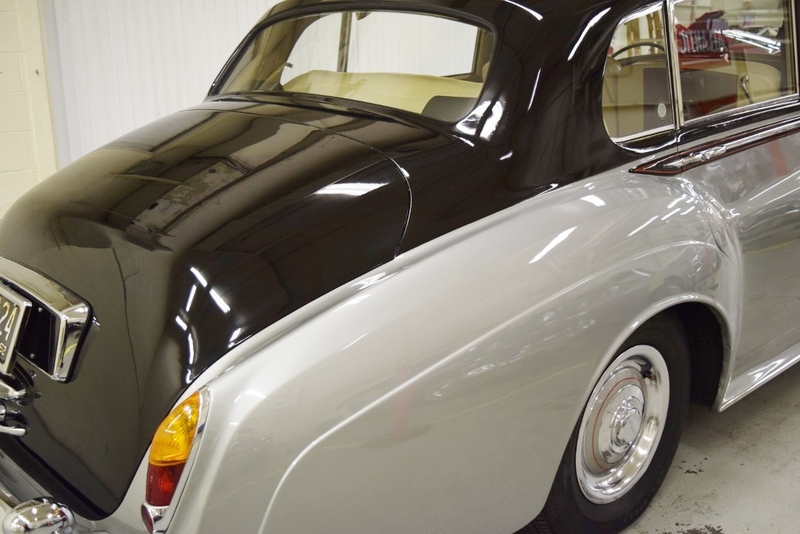 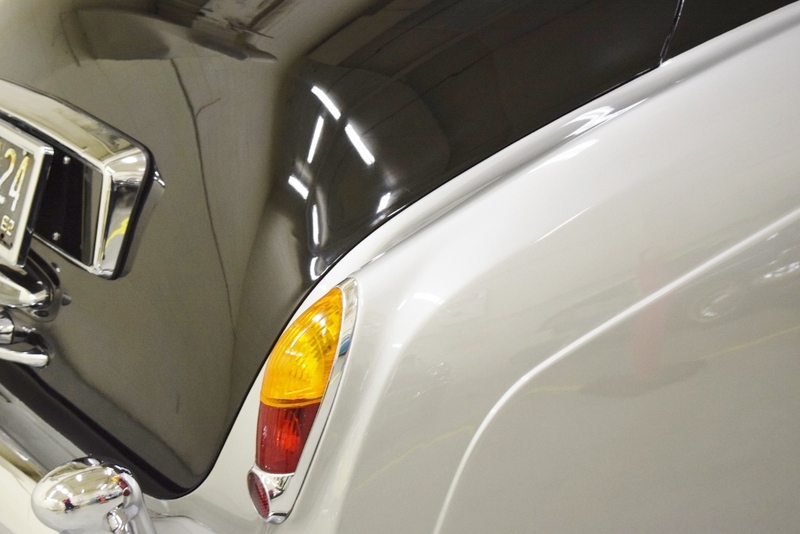 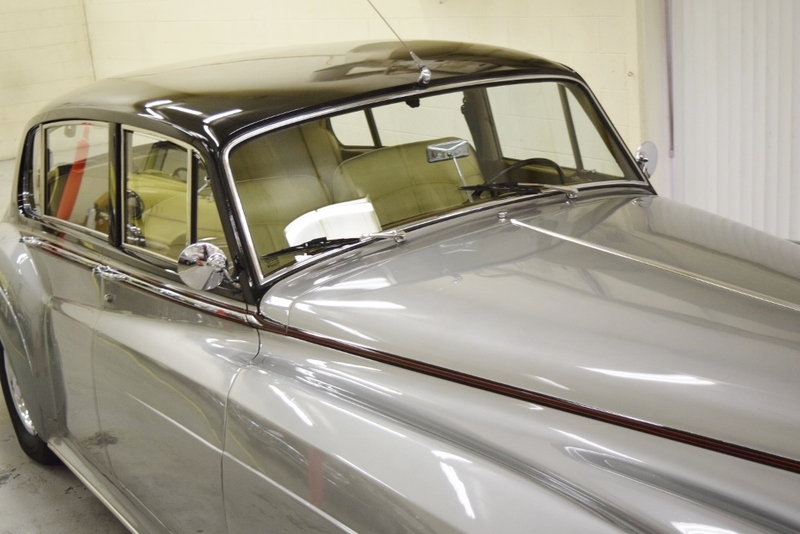 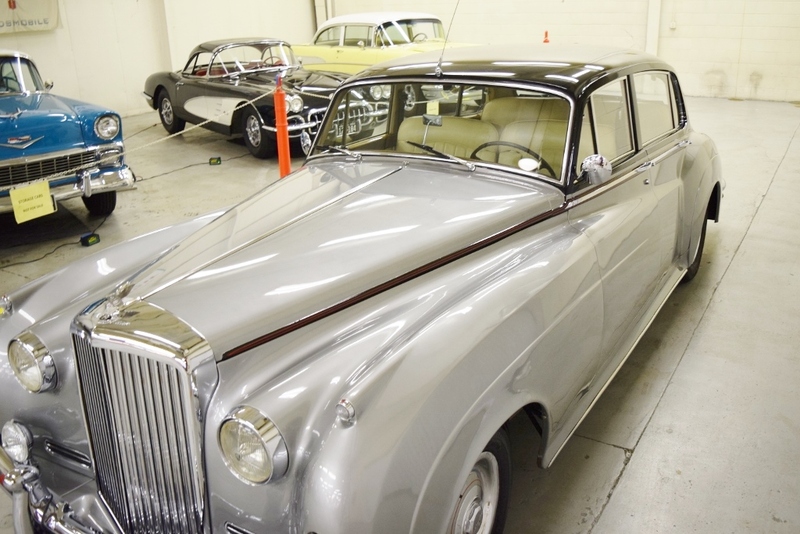 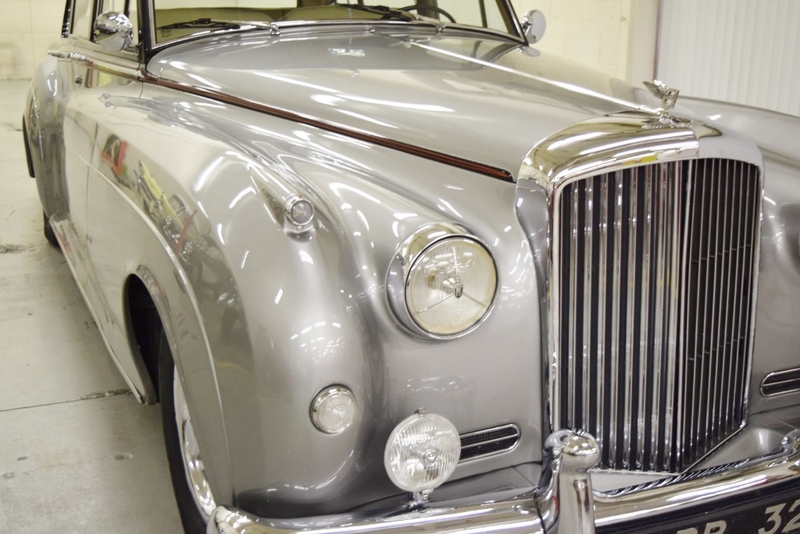 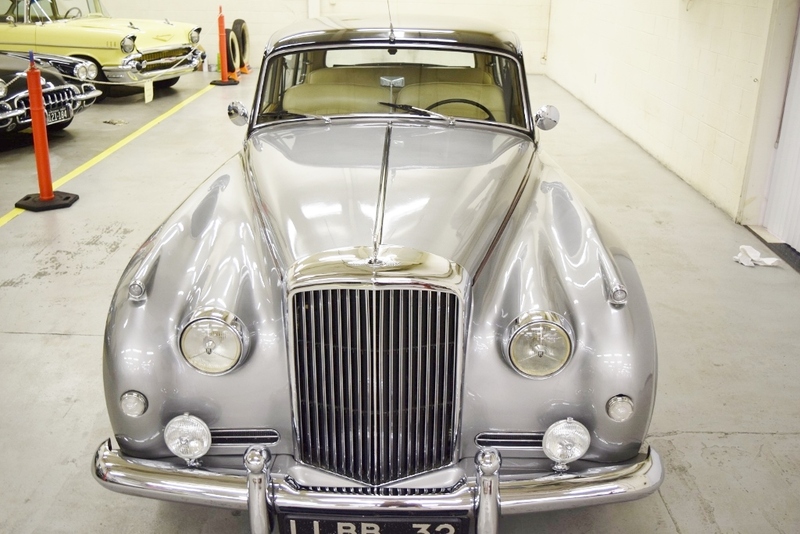 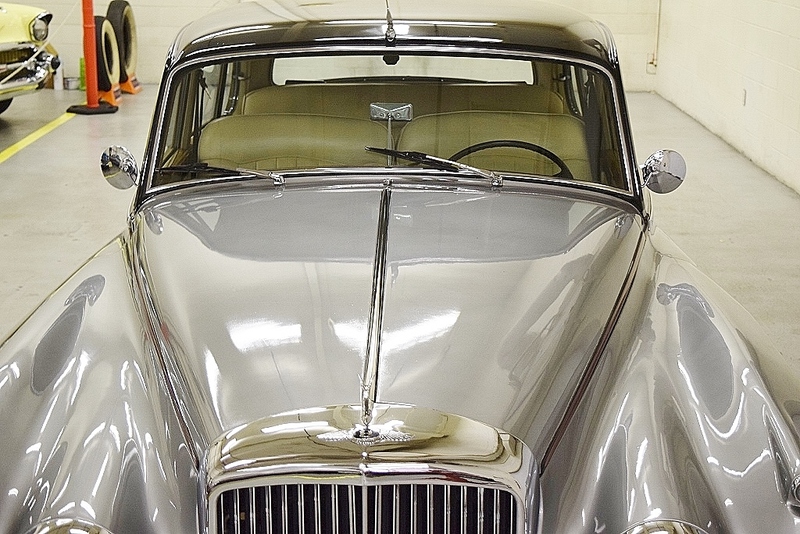 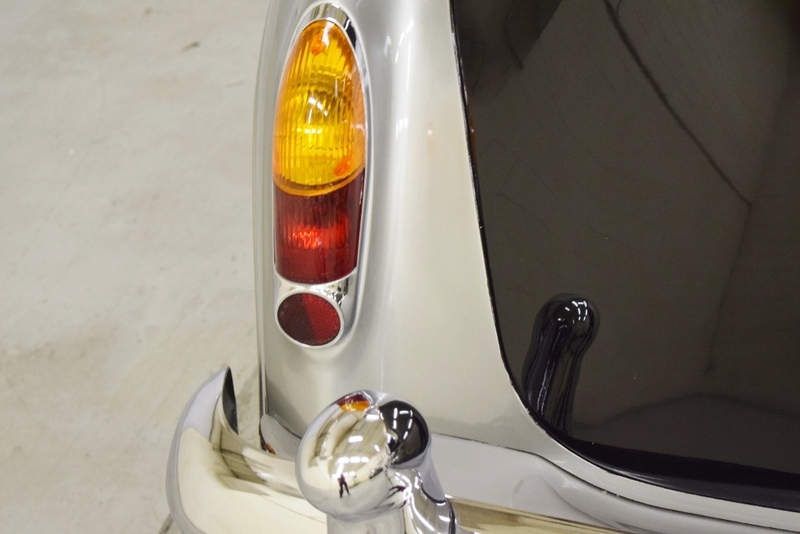 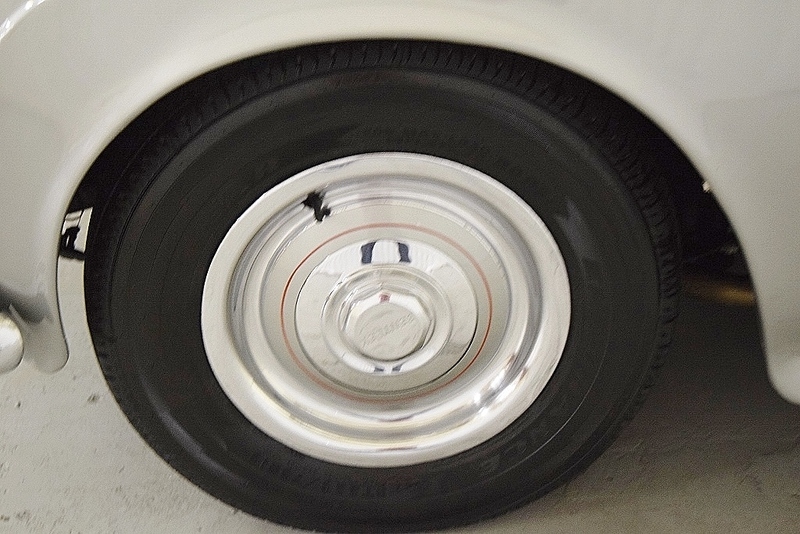 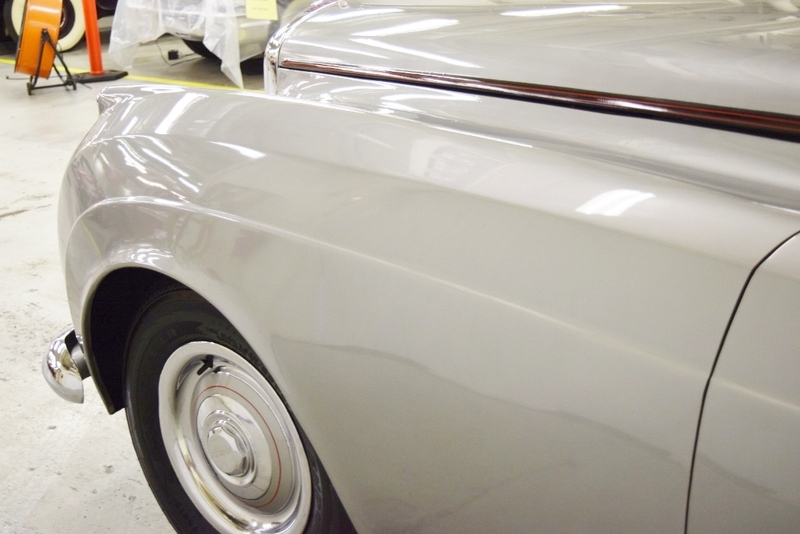 The car was refinished in Mason Black over Silver, and is in quite nice condition. 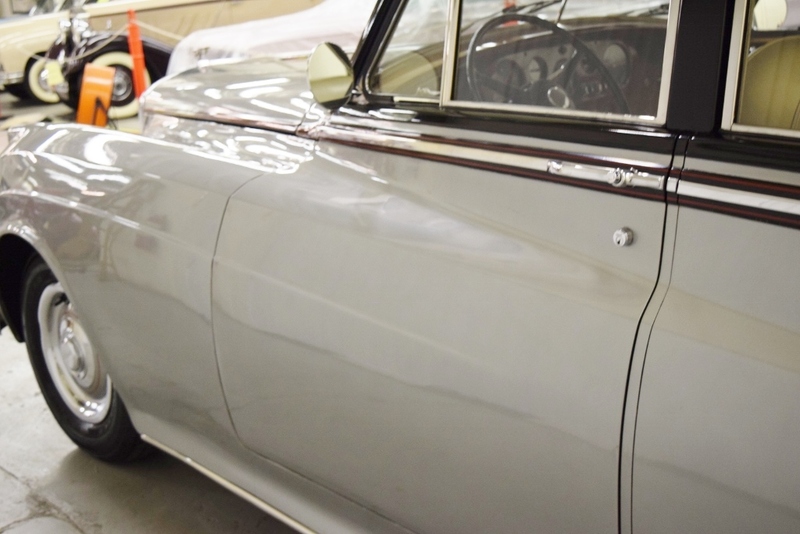 An older restoration, the finish shows a few cracks. 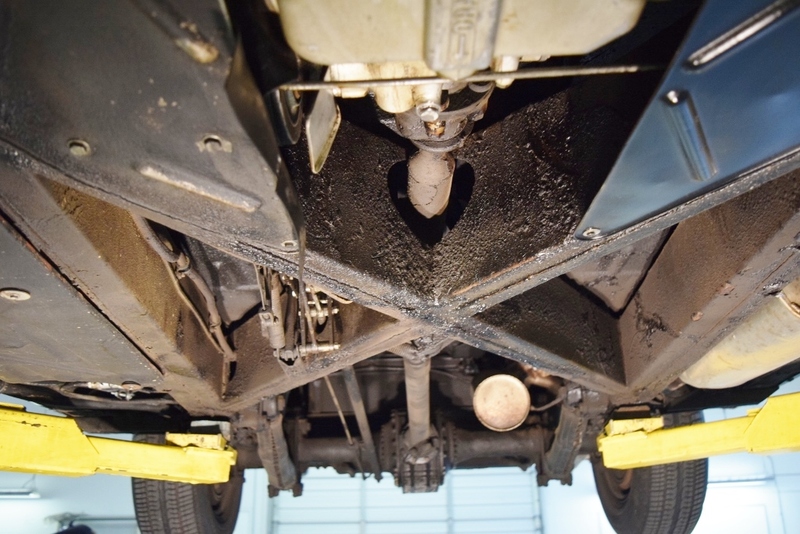 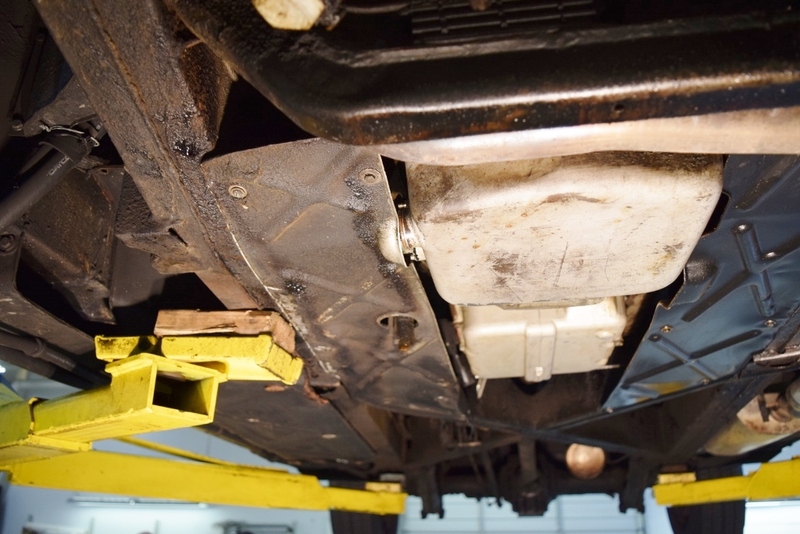 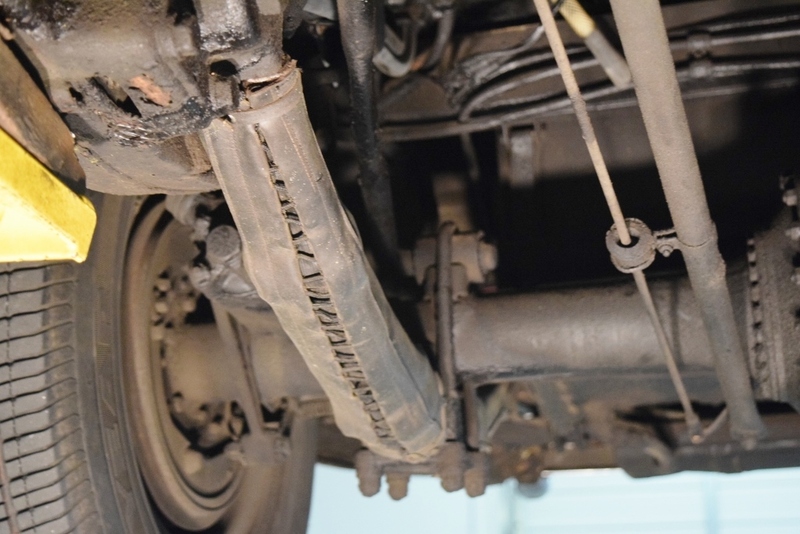 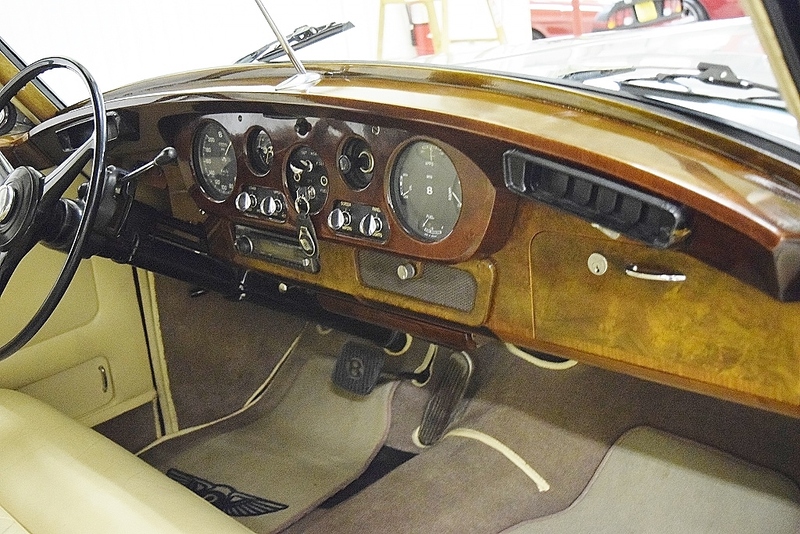 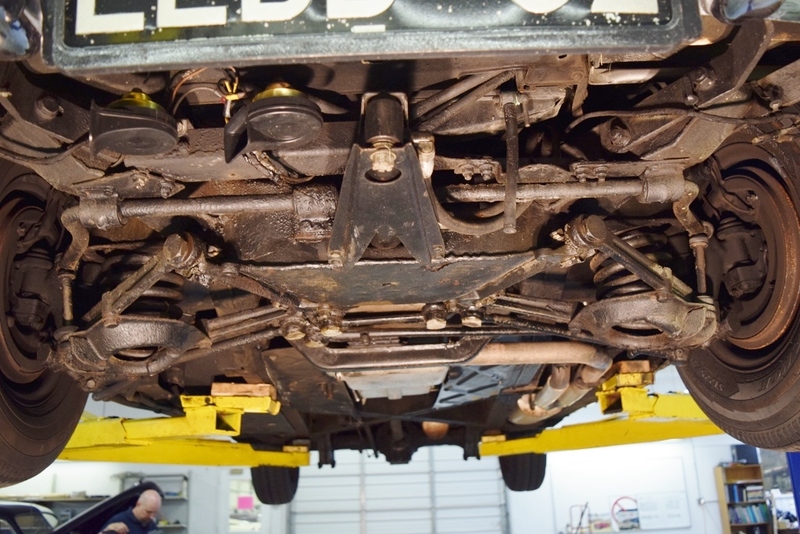 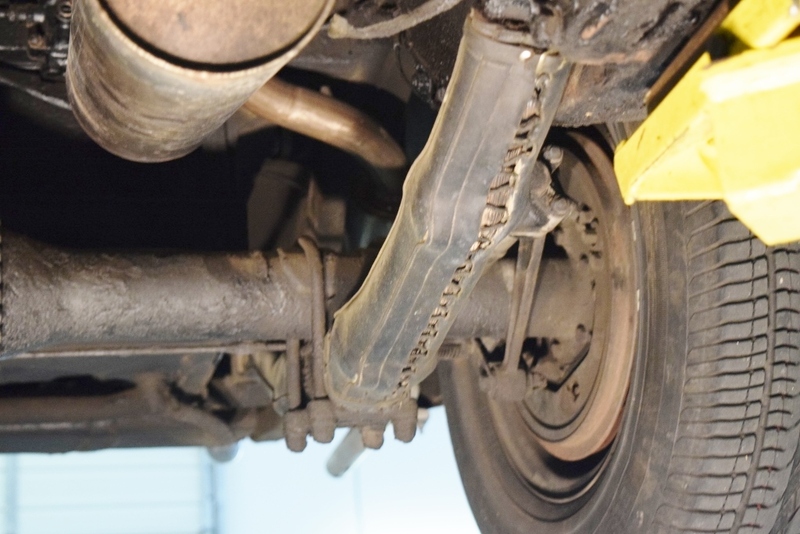 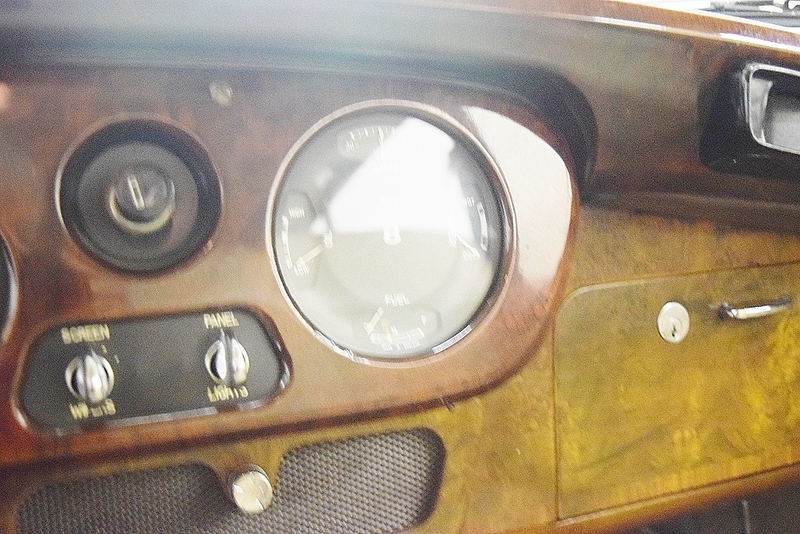 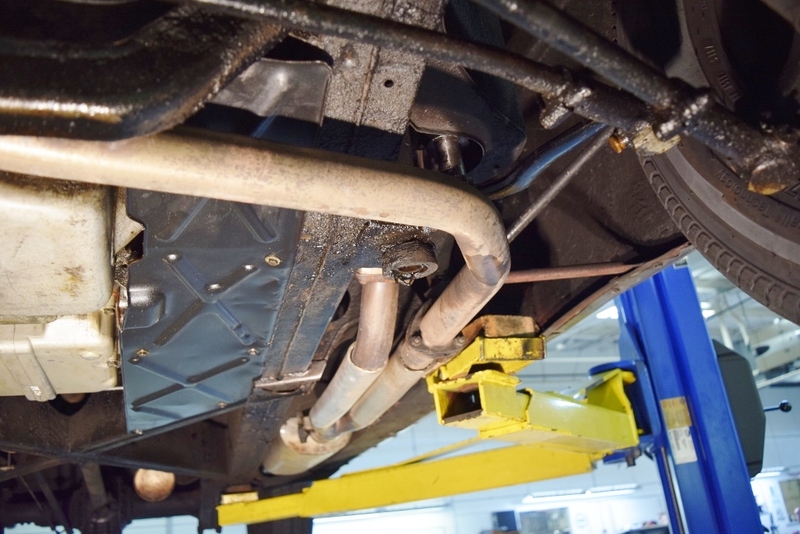 The underside of the Bentley appears to be free of rust and corrosion other than normal surface rust. 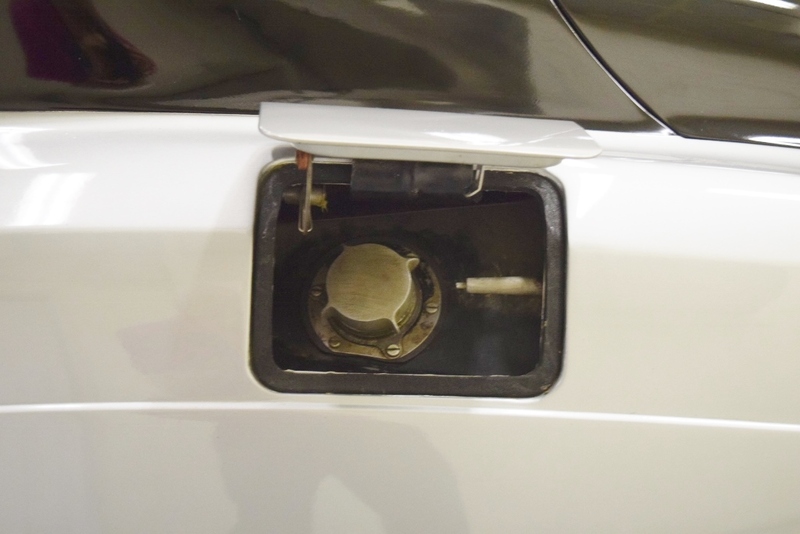 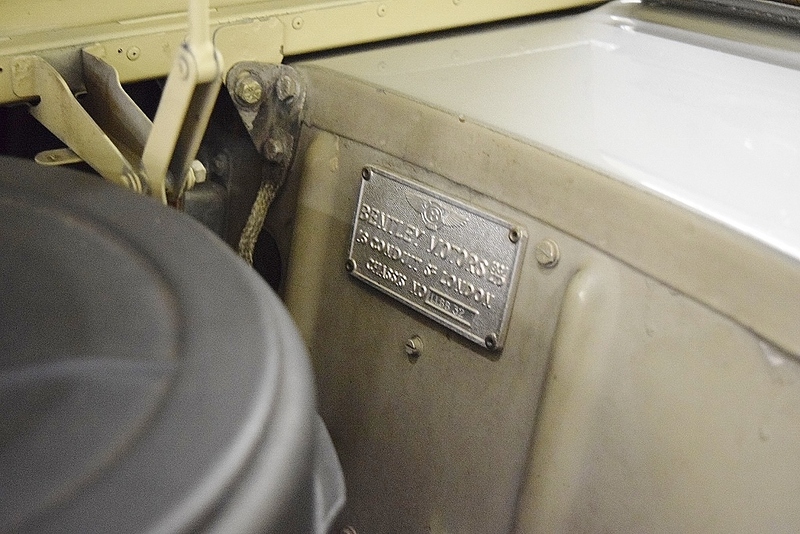 You will notice that “gaitors” cover the rear springs. 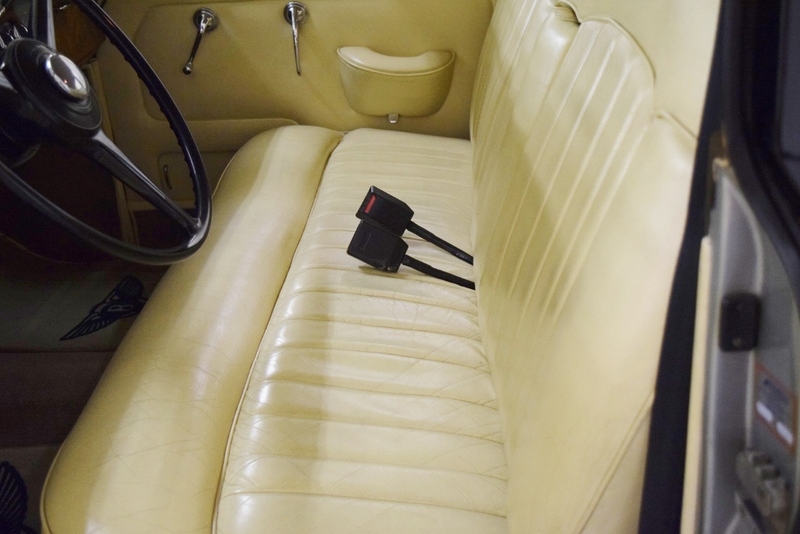 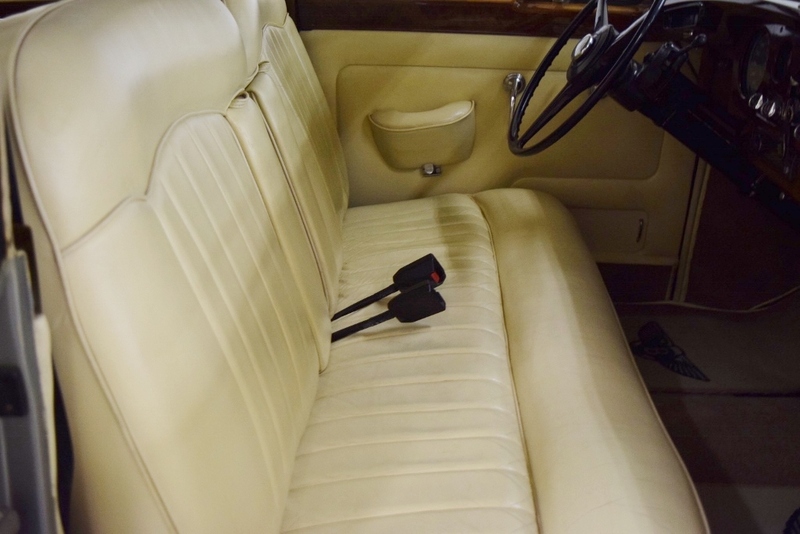 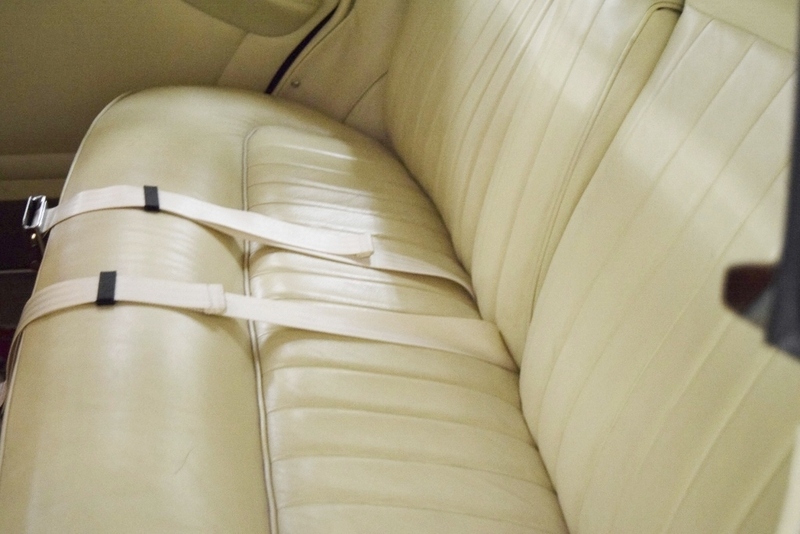 The cream leather interior is in like new condition treating both the front and rear seat passengers to unmatched comfort and luxury. 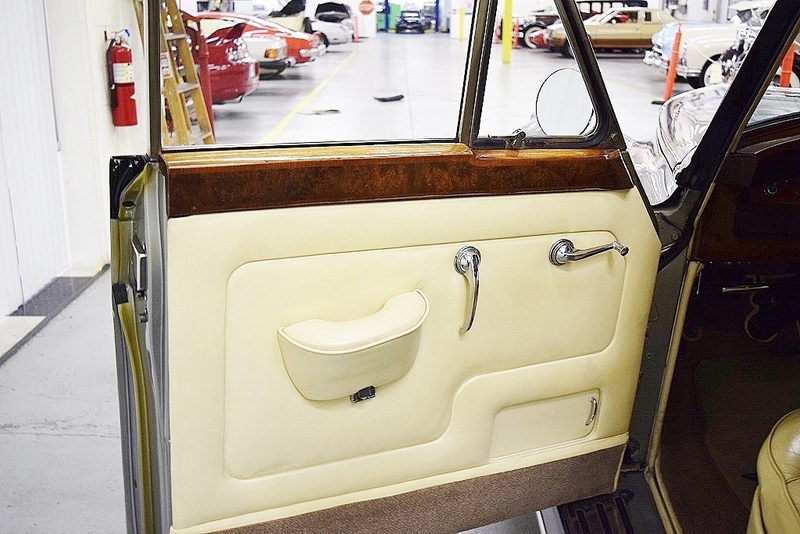 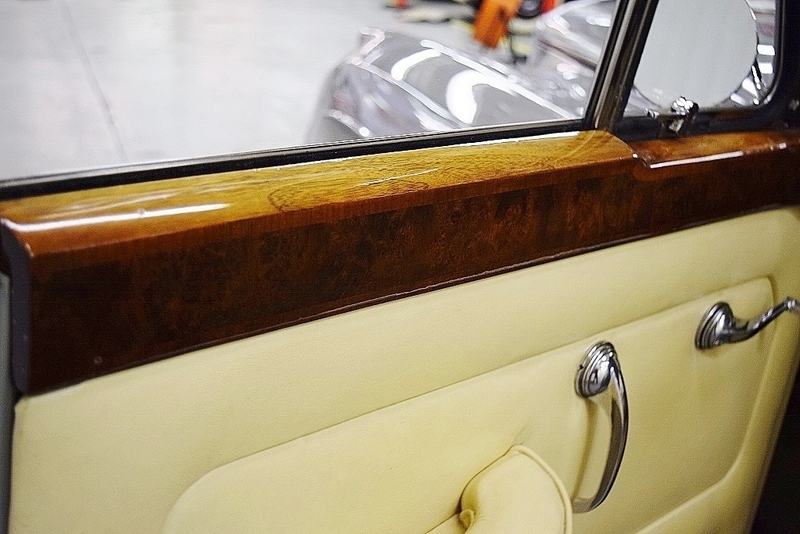 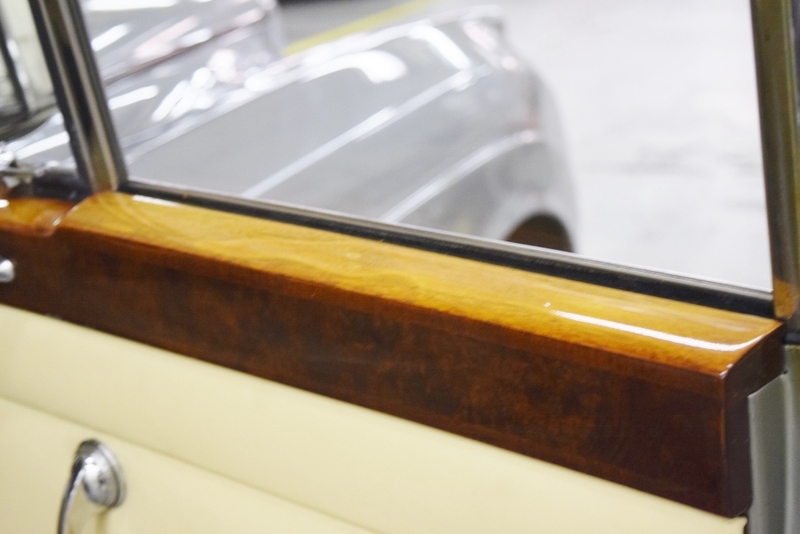 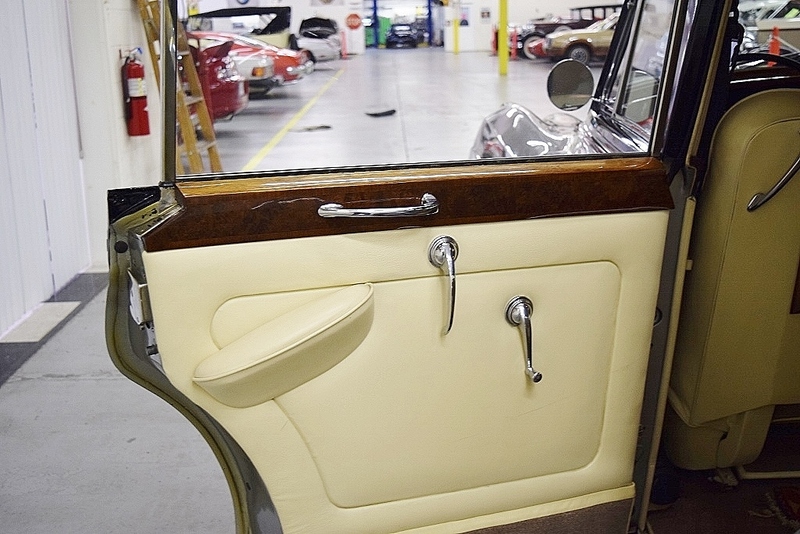 All the wood has been refinished and looks perfect with the exception of one small area on the right rear passenger door. 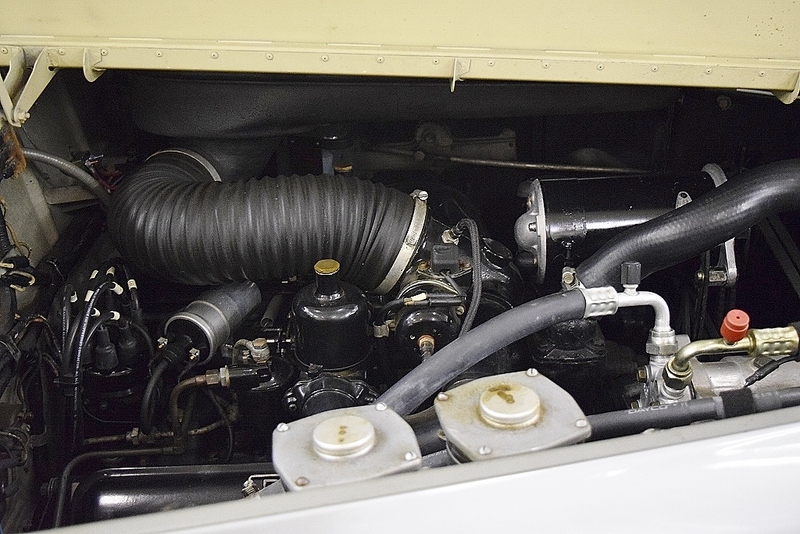 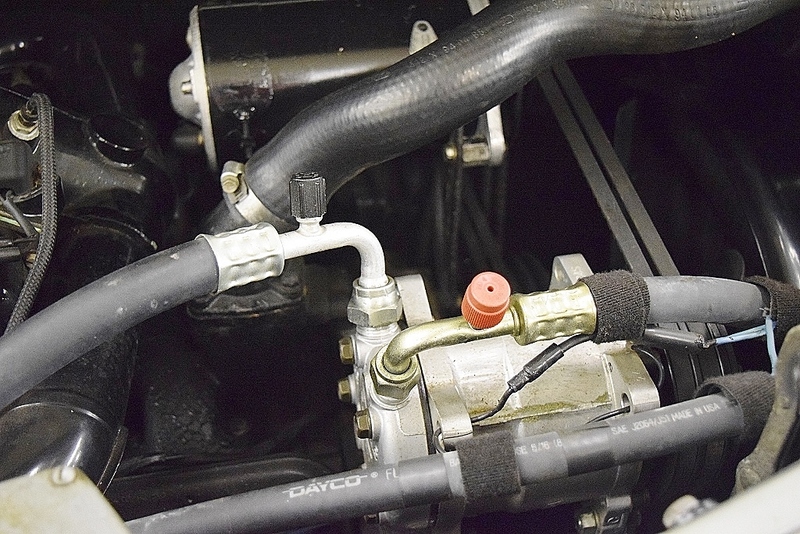 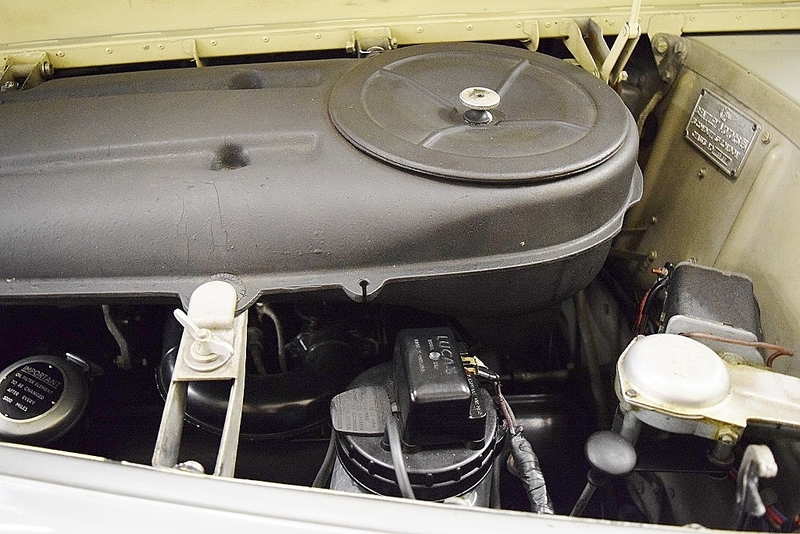 The car is powered by the S2’s aluminum 6,230cc V-8 that was both a revolutionary yet extremely reliable engine. 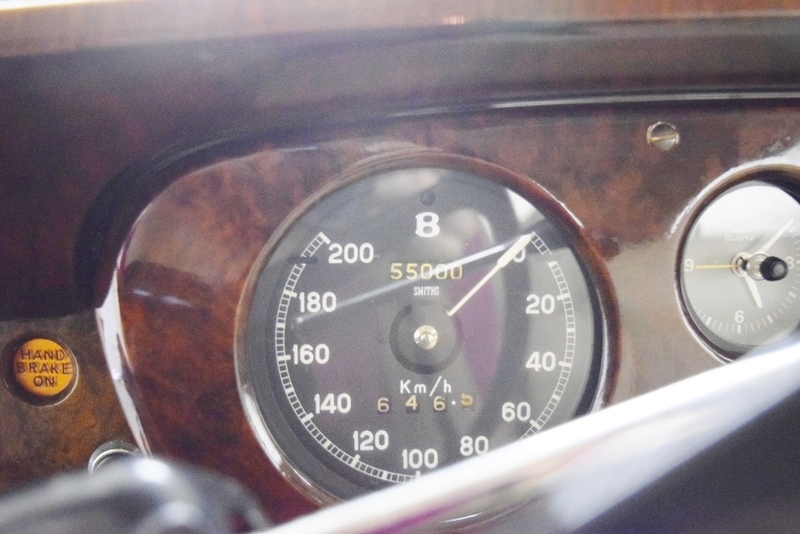 The car starts right up and runs the way you would expect. 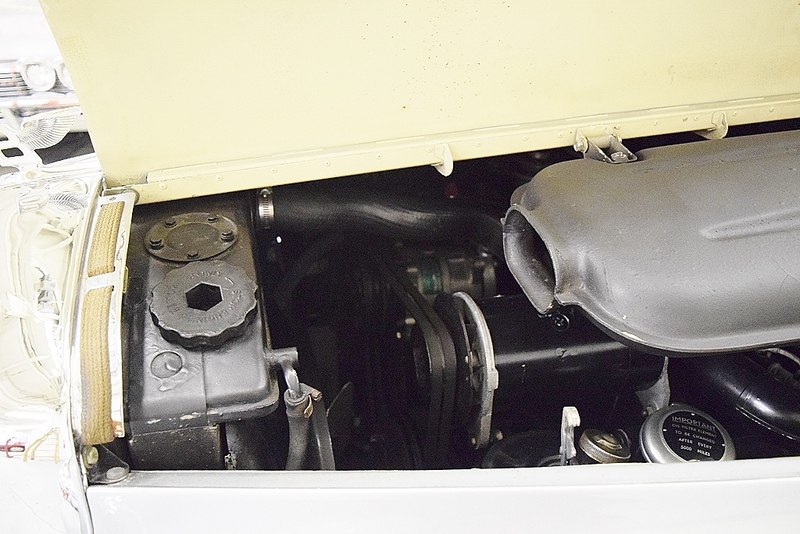 If you opened the bonnet on this Bentley in 1962, it wouldn’t have looked much different than it does today: bright and clean. 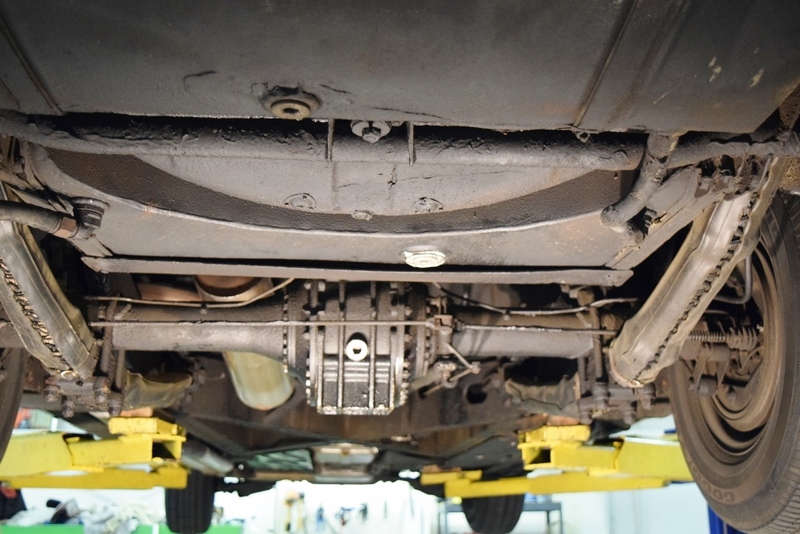 The automatic transmission shifts properly, allowing the driver to enjoy the trip, particularly when confronted with the increasing amount of traffic in most urban/suburban areas. 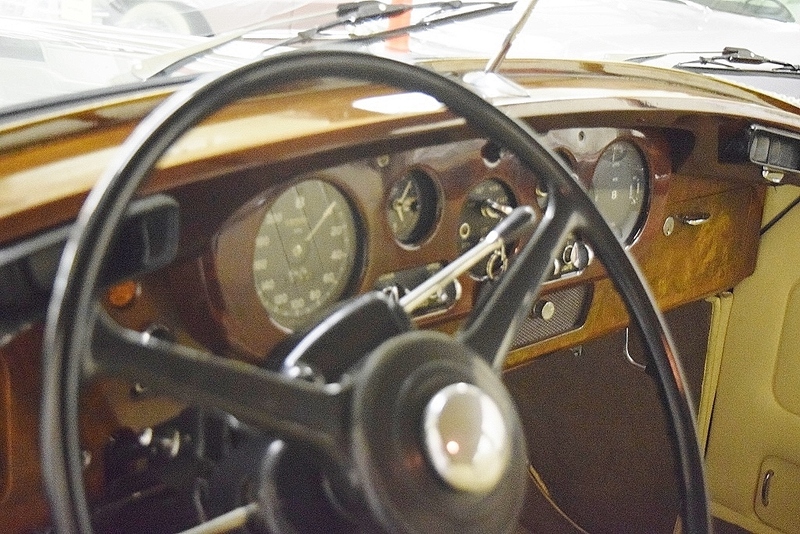 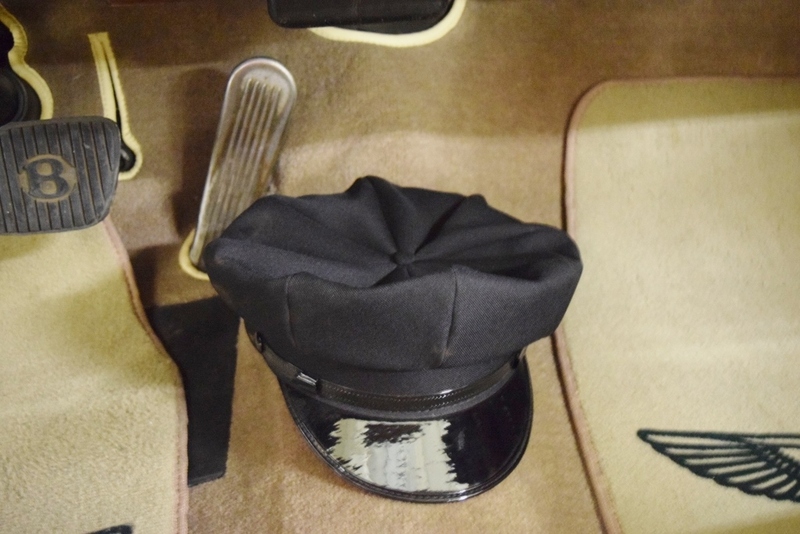 All of the safety equipment works properly (lights, signals, horn, wipers), as do the gauges, warning lights, and speedometer. 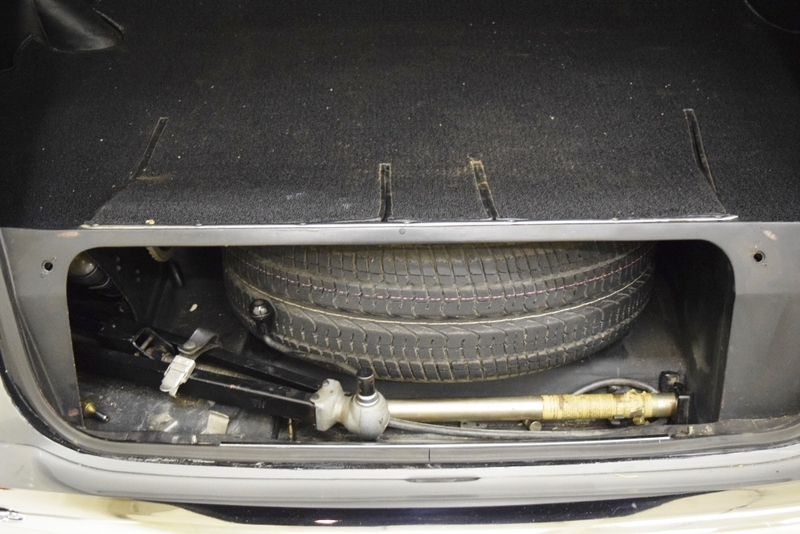 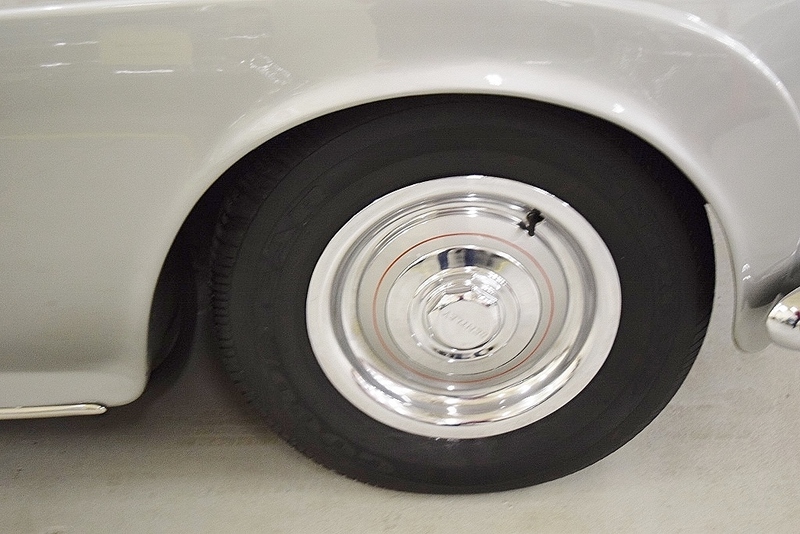 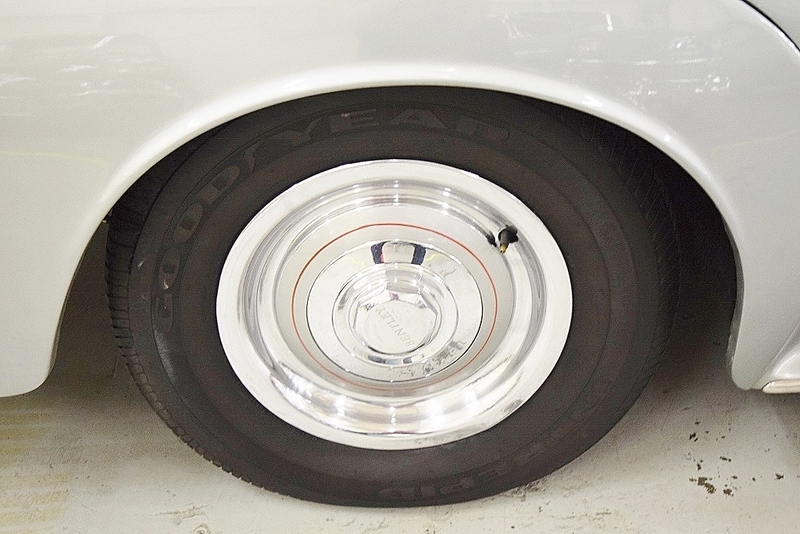 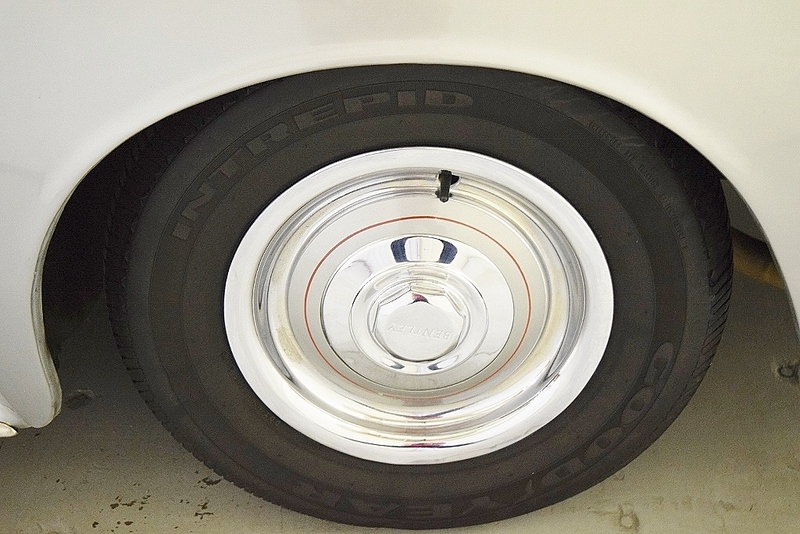 The car has radial tires for better handling. 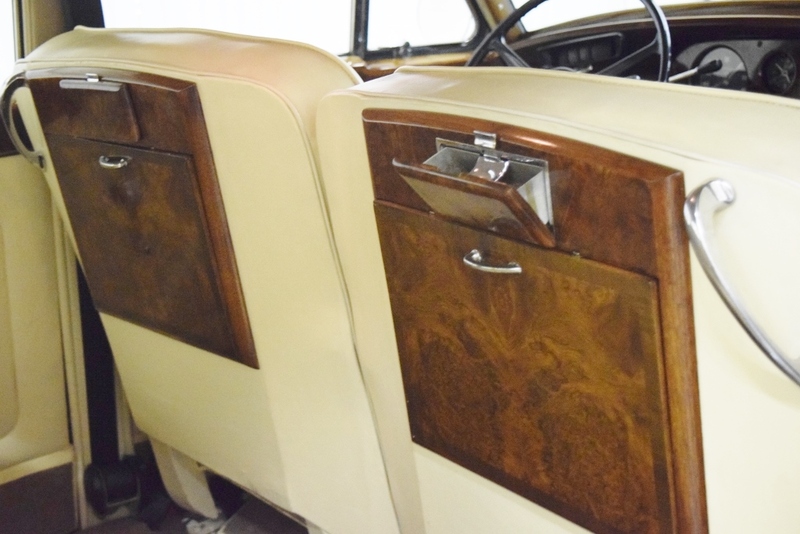 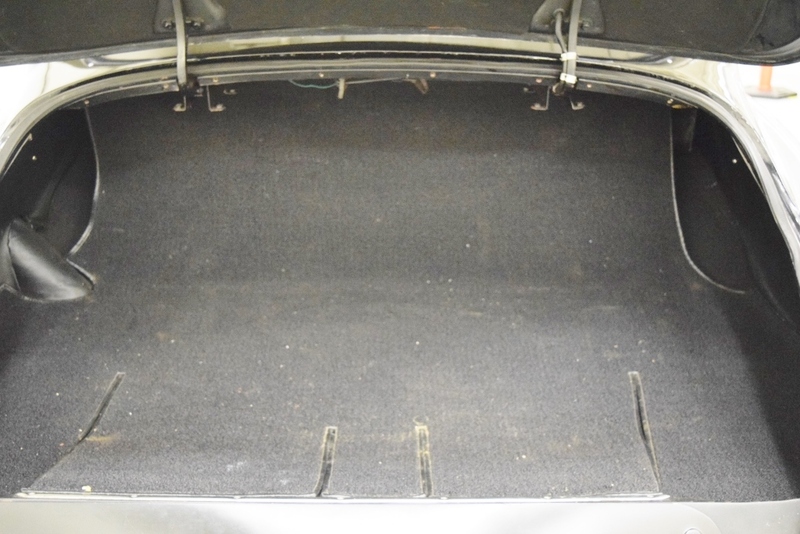 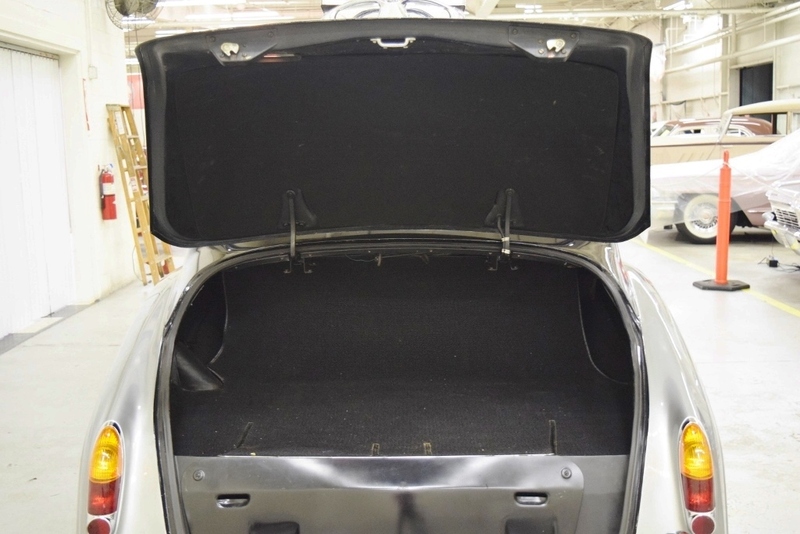 The luxury equipment includes, of course, full leather interior, two rear picnic trays that fold down, and air conditioning. 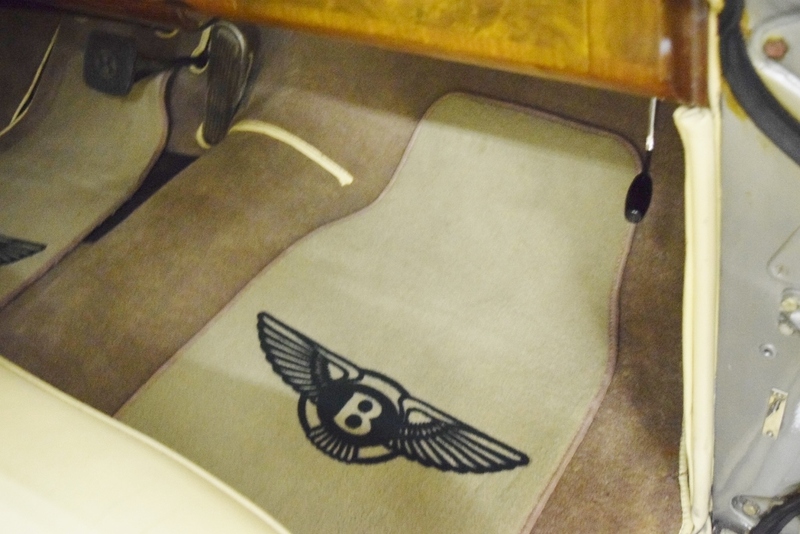 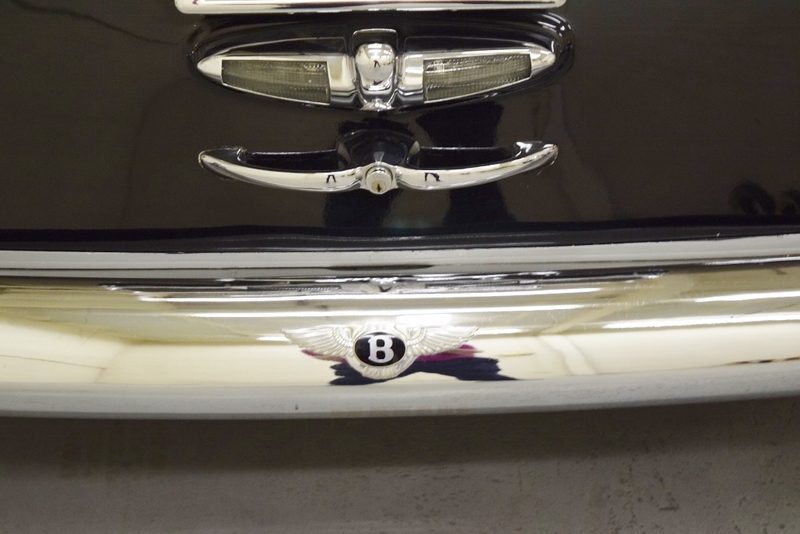 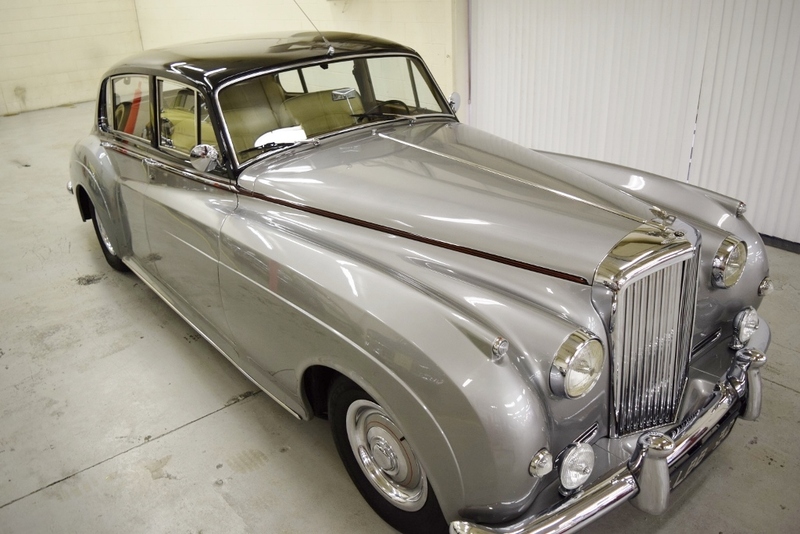 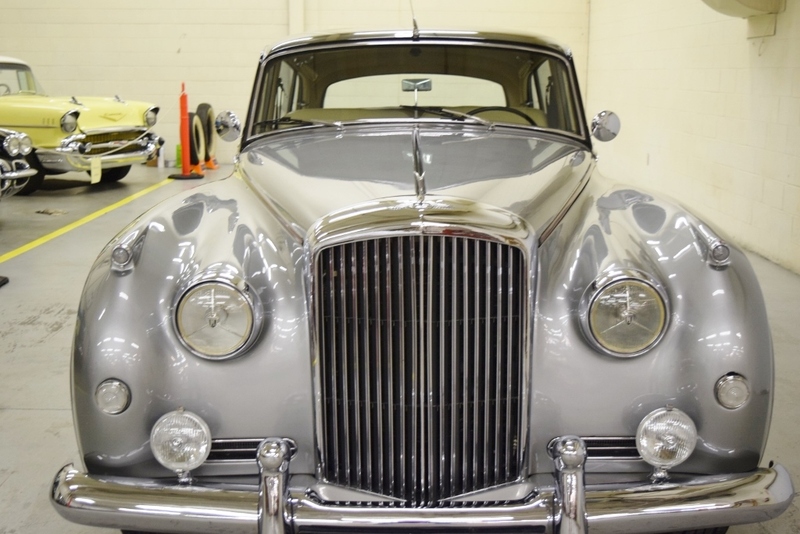 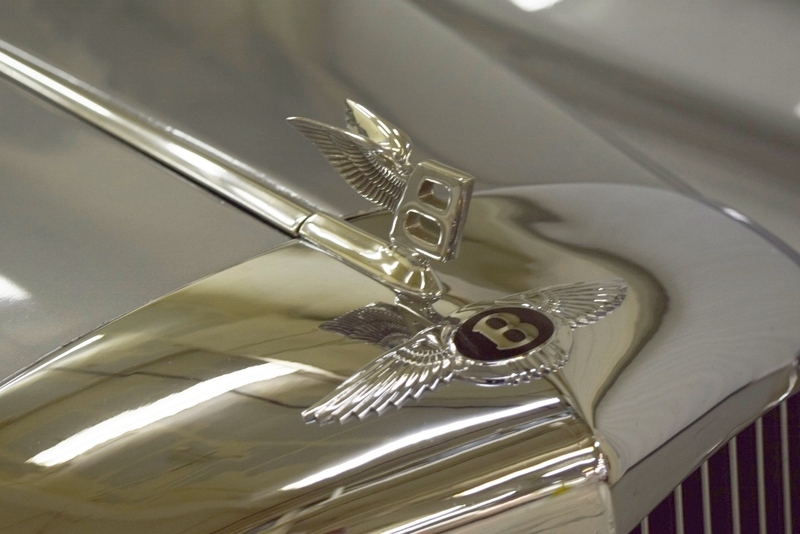 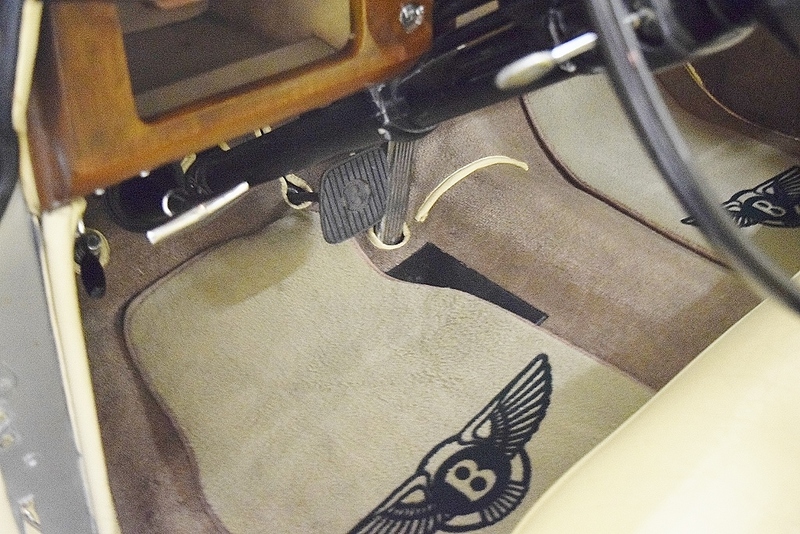 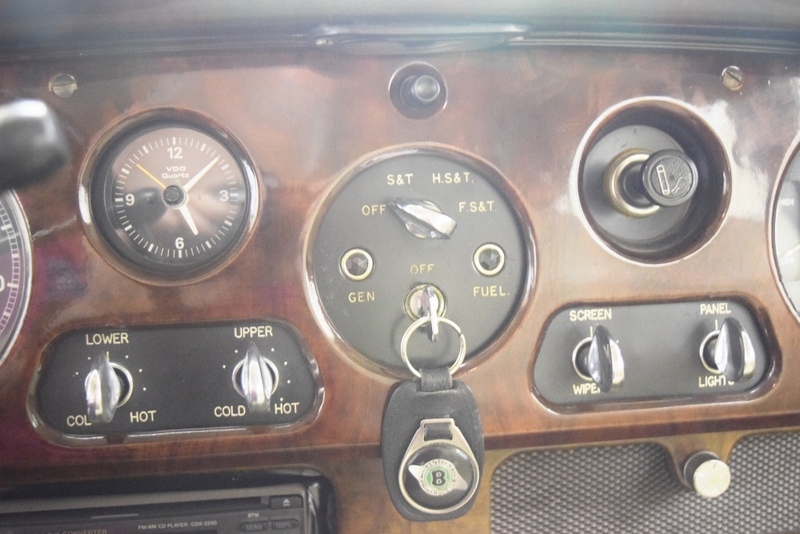 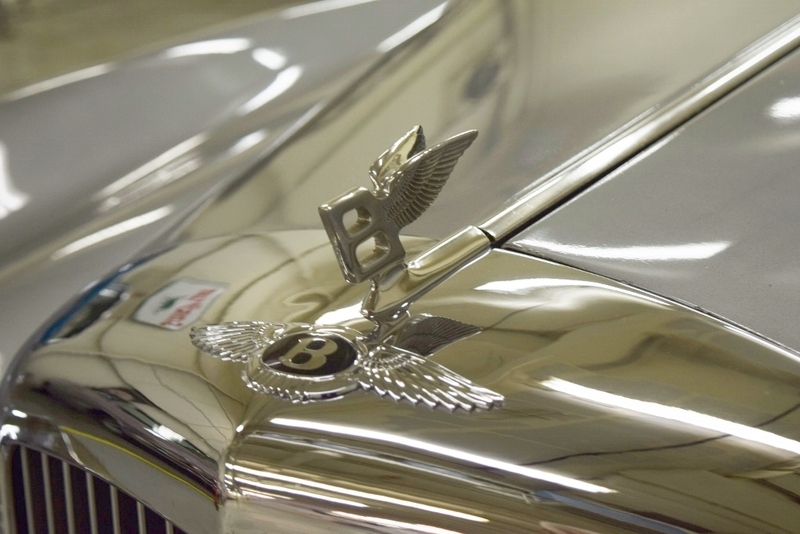 Bentley was the driving person’s luxury car that differed from its stable-mate, the Rolls Royce, only in the shape of its radiator cowl. 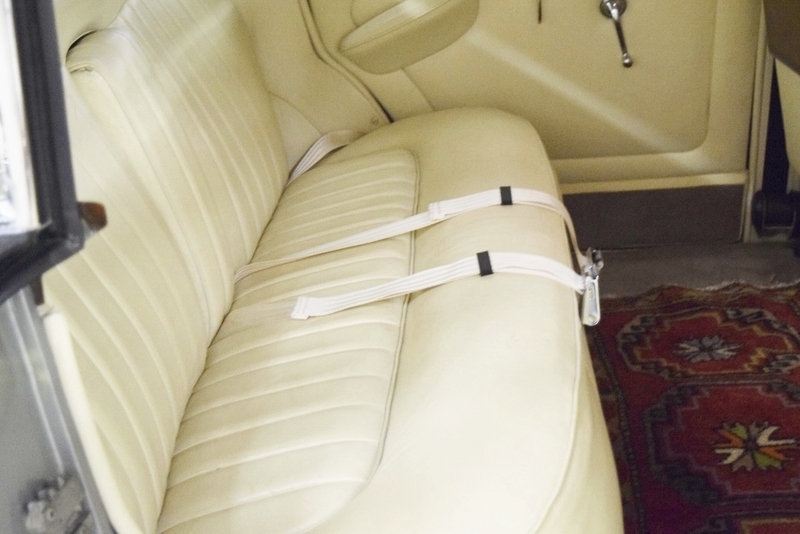 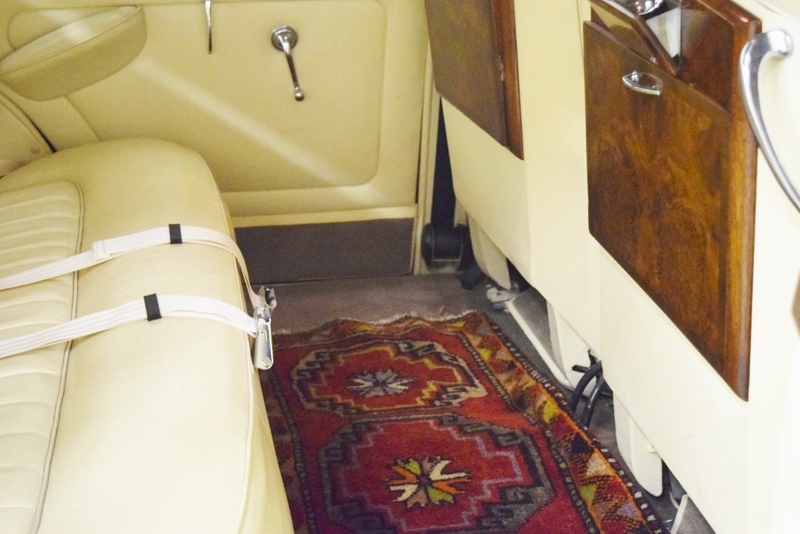 It epitomized under-stated luxury and status in 1962 and still does!